Our mission is to become leaders of industry, setting the benchmark for quality, value and innovation. With a comprehensive research strategy cascading down through the company’s activities, our management and leadership strategies are based on enduring principles, flexible systems and smooth operations; ORIENT is committed to leading the industry, diversifying our products and gaining a competitive advantage over the Egyptian market. We believe that the ORIENT family is the cornerstone to our success; by creating a motivating work environment for our staff we hope to foster creativity, improve performance and encourage loyalty, which in turn allows us to maintain a standard of excellence for our clients. 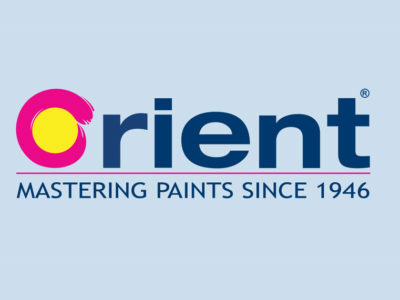 ORIENT is one of the leading local companies in the field of paints and chemicals, with a commitment to developing high-quality products that adhere to required industry specifications and make use of the latest research and technology. We play close attention to the needs and expectations of our customers, aiming to provide consistent satisfaction and quality. ORIENT is also firmly committed to preserving the environment, making significant efforts towards producing environmentally-friendly and sustainable products.